Taking a cue from fe llow blogger Joseph Young and his blog posts about the 100th anniversary of Noises Manifesto, the words of Luigi Russolo about the great modern city came to my mind. According to Russolo, the city was characterized mainly by the sounds of the machine, as he was always in search of the music in technology as a true futurist that he was. My curiosity about connections between sound and architecture made me take a different path, so I researched musicians who have taken an interest in the city and architecture as a source of inspiration. Iannis Xenakis was a genius who used his personal memories of crowd, demonstrations and battles that took place in the city of Athens, during the German occupation in the Second World War, as a row music material, a true war soundscape. Using his own words “The whole world has observed the sonic phenomena regarding a large politicized crowd of hundreds of thousands of people. The human river recites a slogan with dissent rate. Afterwards another slogan is heard from the head of the demonstration and is transmitted until the end, by replacing the first one. So, a wave of transition starts from the head until the end of the demonstration. The clamor fills the city, the inhibitory power of the voice and the rhythm is the highest that could ever be. It is about an event particularly bright and beautiful regarding its own ferociousness. Thereafter, there is the conflict between the protestors and the enemy. The perfect rhythm of the last slogan decays in a vast crowd of chaotic screams that are transmitted until the end of the demonstration. Let’s imagine additional to that the bursts of the machine guns and the whistle of the bullets that add their intonation in this complete disarray. Then, very quickly, the crowd is dissolved, the sonic and the visual hell is succeeded by an explosive calmness, full of despair, death and dust.” (Iannis Xenakis, 21). Iannis Xenakis’ studies an d his profession as an architect and engineer (these two were considered to be almost the same by Greek Universities in previous decades), as Makis Solomos remarked in his book about Xenakis, affected deeply his music in terms of practical mathematics and a holistic spatial notion of sound. But can the opposite also be true? Can we find examples of architectural structures that are affected mainly by sound? As an architect and a theorist Juhani Pallasmaa stated in his book The Architecture of image: Existential Space in Cinema, since the 1970s architects have fervently sought connections with other art forms—such as seeking inspiration in painting, sculpture, literature and music. Architects’ interest in infusing their work with echoes of other art forms indicates that the architecture has become uncertain of its essence and future course. Searching deeper in older historical periods, such as 1950s, I came across Steen E. Rasmussen’s classic architectural theory book Experiencing Architecture. 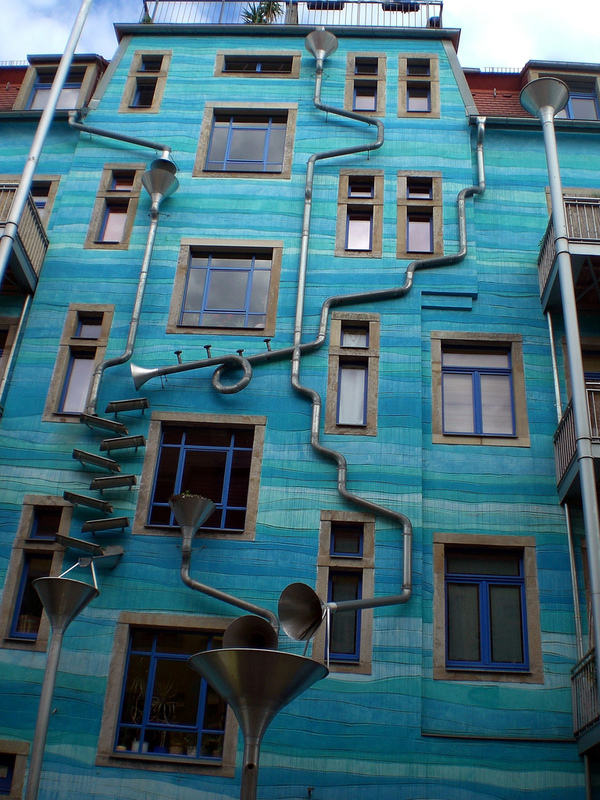 Steen E. Rasmussen, a Danish architect and urban planner, acknowledged that “It is possible to speak of hearing architecture.” He believed that sound is a major factor of architecture—even if many of us could say that a building does not produce sound, and therefore cannot be heard. But isn’t this also true about light? A building does not radiate light, yet it can be seen. Rasmussen concludes, “Though you cannot hear whether or not it is good architecture, neither is it certain you can see whether it is good or not, you can both see and hear if a building has character.” (Steen E. Rasmussen, 224). And as I continued my journey exploring contemporary architecture, I came across the work of Peter Zumthor, a Swiss architect and winner of the 2009 Pritzker Prize, whose work I have always admired. As he claimed in his book Atmospheres, “The Sound of a Space” is one of the nine aspects that concerned him in order to generate a certain atmosphere in his buildings. He believes that interiors are like large instruments that collect sound, amplifying and transmitting it somewhere. According to Zumthor, that particular sound of his spaces has to do with the shape peculiar to each room, with the surfaces of the materials they contain and the materials that have been applied. Σολωμός, Μάκης. 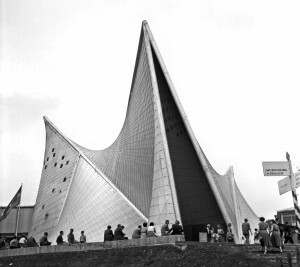 Iannis Xenakis: the Universe of an Idiosyncratic Creator. Αθήνα: εκδόσεις Αλεξάνδρεια, 2008. Print. Pallasmaa, Juhani. The Architecture of Image: Existential Space in Cinema. Helsinki: Rakennustieto Publishing, 2007. Print. Rasmussen, Steen E. Experiencing Architecture. Cambridge: The MIT Press, 1959, 1964. Print. 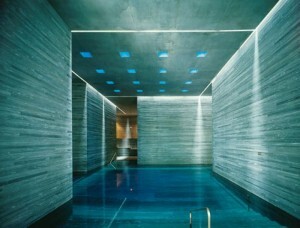 Zumthor, Peter. Atmospheres: Architectural Environments Surrounding Objects. Basel: Birkhauser, 2006, 2010. Print.